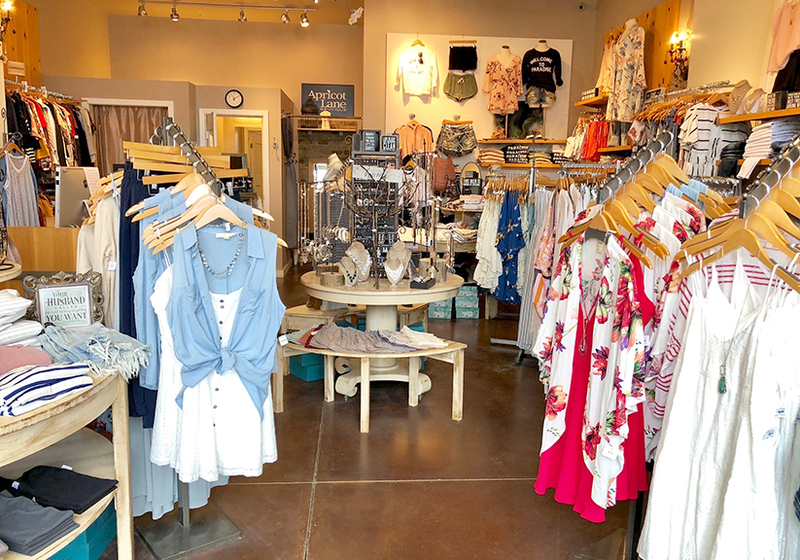 As part of The Shoppes at Arbor Lakes, Apricot Lane Boutique is the first women’s clothing store in Maple Grove you’ll want to visit if you’re shopping for on-trend and affordable clothing, accessories, and gifts. 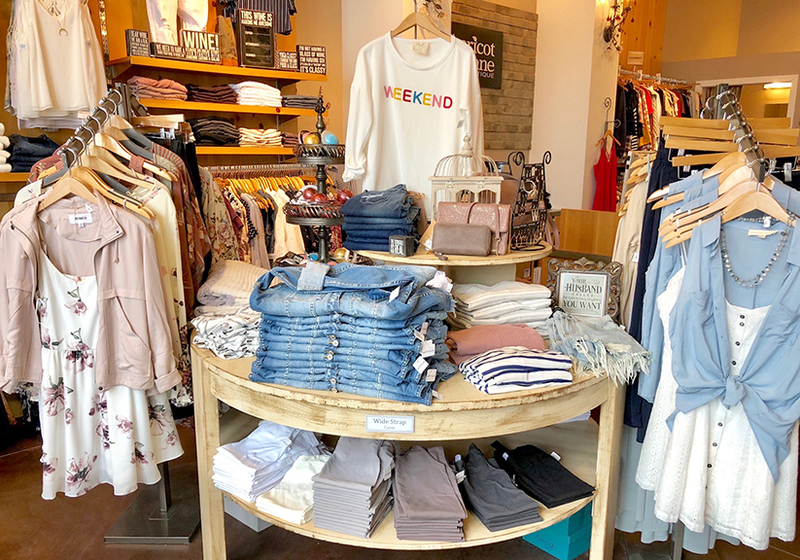 With over 50 fun and fashionable lines to choose from, our boutique is sure to have something for everyone of all ages. Shop for your favorites by Cherish, Miss Love, Primitives by Kathy, She and Sky, and Wishlist, just to name a few, and let our courteous and expert staff point you in the right direction when you’re not quite sure what you’d like. We truly value our customers and strive to make sure each of you leave our store happy! We’re proud to be one of the many millions of small businesses across America that cater to local communities and hometowns. 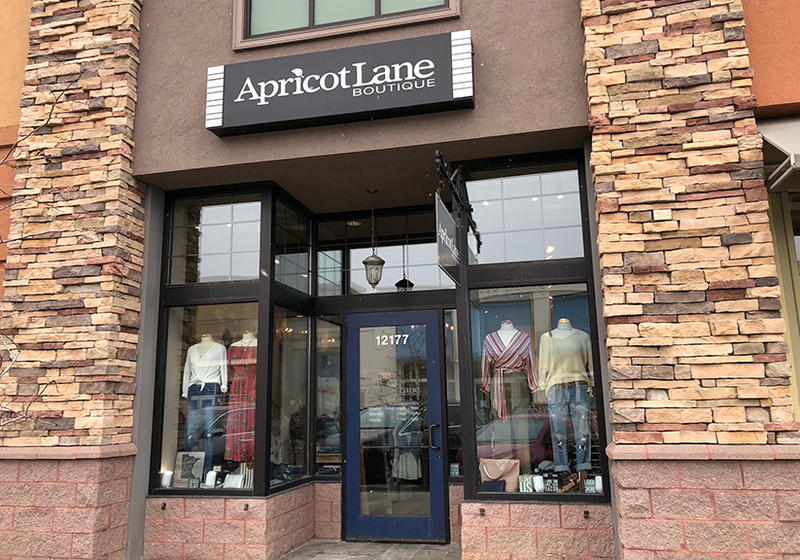 When you shop at Apricot Lane, you are helping to support a local business with community ties. 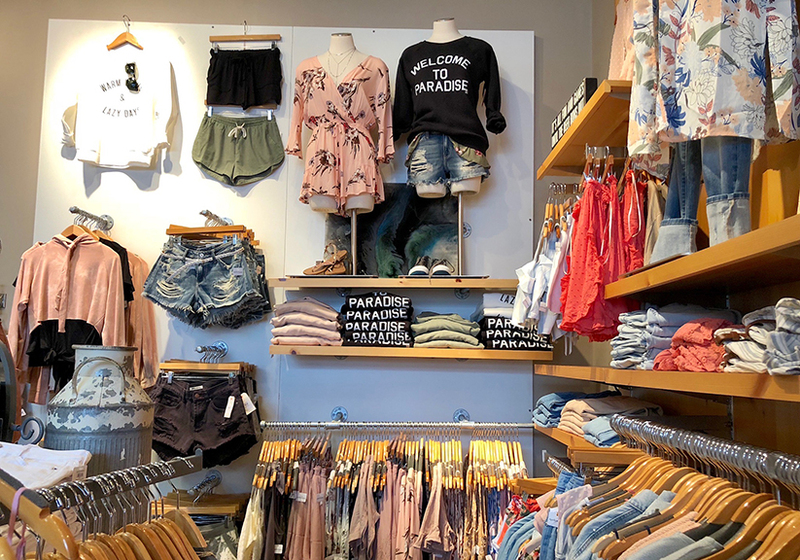 And while our women’s clothing boutique is unique in the Maple Grove area, we’re also part of the larger, respected Apricot Lane brand, with over 75 locations across the country and over 23 years of franchise experience. What does that mean for you? It means that with our brand’s buying power, you can count on us to deliver high-quality products at affordable prices. We work tirelessly to make sure our inventory reflects not only what’s current and trendy, but also what’s timeless and here to stay. It’s not unusual to see mothers and daughters shopping together at an Apricot Lane Boutique! We know how much fun it can be to shop in real time, in a real women’s clothing store, with real people. But sometimes, life gets in the way, which is why a lot of our inventory is available online. Our online shop offers many of our most popular items, and our chat line is there to answer any questions you might have. So, curl up in bed or in your favorite overstuffed chair and see what’s new, what’s trending, and what’s on sale. 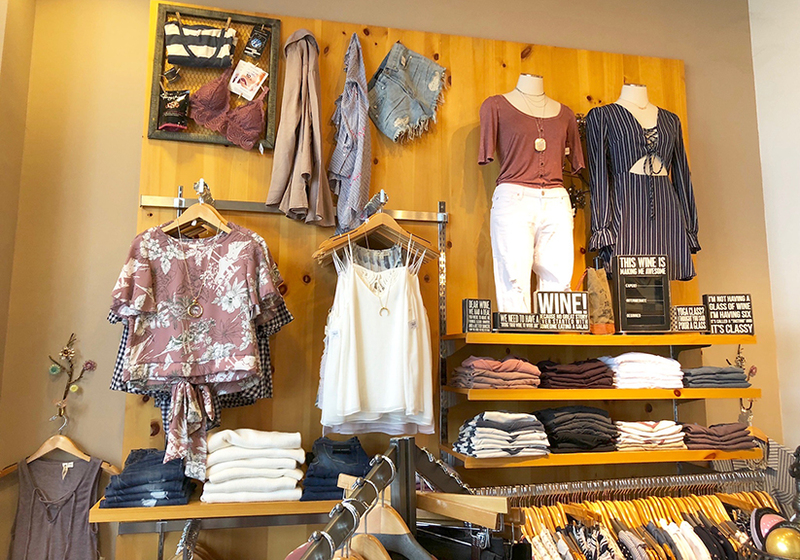 Visit us online — or stop by in person and get to know why we’re the first choice for so many women in Maple Grove who love to shop for great clothes at great prices.